Luz was a beautiful young girl, now she is a beautiful woman. Luz means light in Spanish and she has a light that shines in her for everyone to see. Luz was an orphan in Colombia who had bounced around between several foster homes. 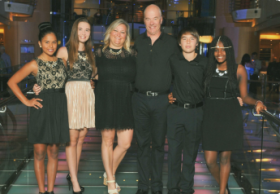 At 12 she was selected by KidSave, an incredibly effective organization for getting older children adopted. 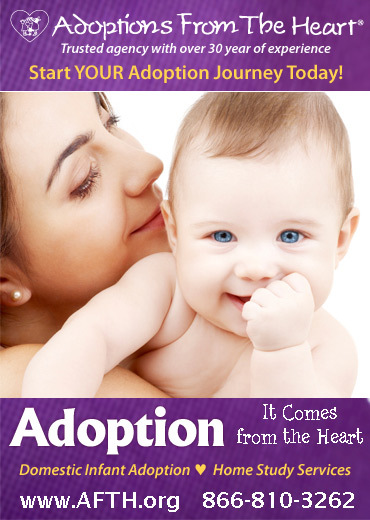 After the age of 4 or 5 it becomes very difficult for children to find adoptive families. KidSave changes this through a program called Summer Miracles—the program through which we met Luz. KidSave recruits families that are passionate about adoption, who may be interested in adopting or advocating for adoption. They also hand-select kids over the age of 8 from Colombia that are stable enough to travel to America for a month-long stay. The children are told that they are going on a cultural exchange in America and they may meet a family that will want to adopt them. The individual families have individual children stay with them for a month. It is kind of like a foreign exchange student. If the family is considering adoption, they can see how well the child fits into their family and the child can see if this is the forever family they want. Basically, is there a love connection? If the family doesn’t want to adopt themselves, they advocate for the child by letting friends and family know that the child staying with them needs a home. There are weekend events (picnics, swim parties, etc. ), where potential adoptive parents can hang out with children in the program and, again, see if there is a love connection. It works amazingly well. It was at one of these KidSave events we met Luz. We were invited by some friends to attend one of the weekend events in case any potential adoptive families had any questions about adopting an older child because we had experience with adopting an older child—two years earlier we had adopted our beautiful daughter from Ethiopia when she was 8 years old. Our first adoption had its challenges but after some time we had really turned a corner. My wife, Karen, and I are very passionate about adoption and we were in a good place to help advocate for other children. The family Luz was staying with originally wanted to adopt, but just before she arrived they had a financial set back that would not allow for it. So, at the event we met Luz, a beautiful, shining, light desperately needing a home. Our children fell in love immediately. That night, Karen suggested, “Maybe we should adopt her.” I was very “squishy” on the idea. The next day it was the kids turn to start working on me. It was Zerfe that soften my heart to the idea when she said, “Luz can stay in my room with me.” If Zerfe realized the need and was willing to share what she had, why couldn’t I? “OK,” I said, as I agreed to go to one more event and to seriously consider it. The next weekend we all met again at one of the host families’ houses for a pool party. The sun was out. The sound of kids having a great time, laughing and splashing around in the pool, echoed across the water. I was watching Luz swimming with the other kids, and thinking about how much adoption involves, when it happened. It is hard to describe, but I felt a certainty wash over me. "Not only did it feel like Luz was going to be our daughter, it felt like Luz was our daughter. It was as though, in that moment, Karen and I had three daughters and one son. Luz was our Summer Miracle." We knew from adopting Zerfe that the road to adoption is arduous. And the Colombian government, to their credit, is very particular about who adopts whom. This time around, there were all the same social workers, home visits and background checks as with Zerfe, but with an added wrinkle: Colombia requires a psychiatric evaluation by a licensed psychologist. Karen and I still laugh about it. Considering that after we adopted Luz we were going to have four teenagers in our house at once, the Colombian government was wise to check on our sanity. Once the Colombian government decided Karen and I were “sound as a pound, baby” (Austin Powers), the whole family flew to Bogotá to be reunited with Luz. Bogotá is amazing in its size (8 million people) and in its beauty. It is centrally located in Colombia’s mountainous region and way up there. Its altitude at 8000 ft. is 2000 ft. higher than Denver: the mile high city. Many people asked us if it was safe to bring our children to Colombia considering years earlier it was plunged in civil war and plagued by drug lords, but that was decades ago. We were told, and found it to be true, that Bogotá is as safe as any major city in the US. We landed in Bogotá filled with anticipation to finally be united with Luz forever. We checked into a condominium that rents by the week that our adoption agency (CHLSS) recommended. The condo was a great base camp for our daily adventures. The most exciting adventure happened on day two. We went to the Bogotá family services building for the official custody transfer of our new family member. In anxious anticipation we were asked to wait on a patio area for her arrival. Again, it was a beautiful sunny day, but Luz was the brightest light that day. I will never forget her walking out of the building onto the patio. Her long black hair was well below her shoulders. Her bright smile accentuated her big beautiful brown eyes. We could not wait to hug her again. Karen was first, the first of many mother hugs. It had been five years since Luz’s last mother hug. Tears were streaming down Karen’s face just like the first time she held Vanessa and Jack and hugged Zerfe. 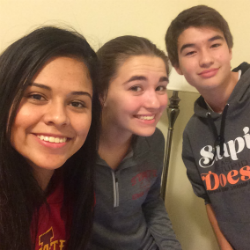 Within weeks of arriving home, Luz was talking, in English, on her iPhone to her new Iowa friends. She was quickly becoming American, but we remind her to never forget her Colombian heritage. Luz danced once in a parade while in Colombia and loved it. We signed her up for dance and now her light shines on the stages of dance competitions. Her light gracefully twirls, jumps, and even does back hand springs! Last weekend she had her first solo dance and there is no adjective to put before the word pride that accurately describe what we felt. Luz loves all of us, especially our dogs Chloe and Clyde, and we love her. She is amazingly bright, brave, and beautiful. She is amazingly easy to get along with, but trust me, she is still a teenager, eye rolls included. The biggest challenge is she is very quiet and shy. Because Karen, our other children, and I are all very vocal about our discomforts (i.e. not shy), we had to learn to be patient and read between the lines with Luz. She learned to stay under the radar in her foster home and that the best way to get her way was back door manipulation. Another battle was fought between Luz and her new brother, Jack. They are a year apart and run in the same social circles at school. We sense they are both self-conscious about their relationship as adoptive brother and sister and uncomfortable about the questions they get from their peer group. We recently turned a corner here, too. It turns out they both love choir, which has helped them look past some of the discomfort. They have moved beyond their bumpy start to now have a “working relationship.” Karen and I continue to experience some guilt thinking we somehow, unnecessarily, complicated Jacks teen years, which of course are complicated enough. Turns out Grandma Marlys (Karen’s Mom) is also quiet and Luz and Marlys have a very special relationship. Marlys is an amazing quilter and is teaching Luz how to sew. They can sew together and not say a word to each other for 15 minutes at a time. When Vanessa went to college Luz inherited her room. Marlys and Luz picked out the paint, I did the taping, and Luz and her friend got most of the paint on walls. It was fun watching her have so much fun. It seemed symbolic that the room was now “her” room like our family is now “her” family. The biggest blessing of all is what Luz has done for our faith. Our faith teaches us how life is about relationships, our relationship with our creator and our neighbors. To add another precious member to our family not only adds another precious relationship to our family, Luz also adds depth and a new dimension to all of those relationships. One more person to love with all our hearts and, for some odd reason, she actually loves us back! Finally we are blessed by her Colombian culture. The music, the history, and of course the food! We are constantly on the lookout for anything Ethiopian or Colombian because we are a three-country and three-continent family. It makes the World Cup and the Olympics much more exciting cheering for three teams/countries. 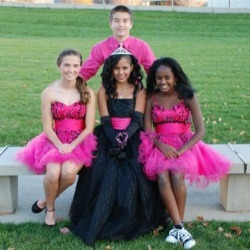 Luz’s Quinceanera (A Latino tradition, kind of like a debutante ball; basically a very large 15th birthday party.) was a big hit with her new friends and our old ones. Our last name may be Erikson, but we look, act, and are WAY more than Swedish. Deciding to adopt is one of the hardest decisions to make, but like Zerfe, adopting Luz has been a life changing, fantastic decision. Adopting Luz has been an adventure, the battles have made us stronger, and we are more blessed than ever before. How corny would it be if I broke into the song by Debbie Boone, You Light up My Life. Sorry…I couldn’t help myself. We love you, Luz! You light up our lives. About the Author: John is a father to four beautiful children, two through adoption.